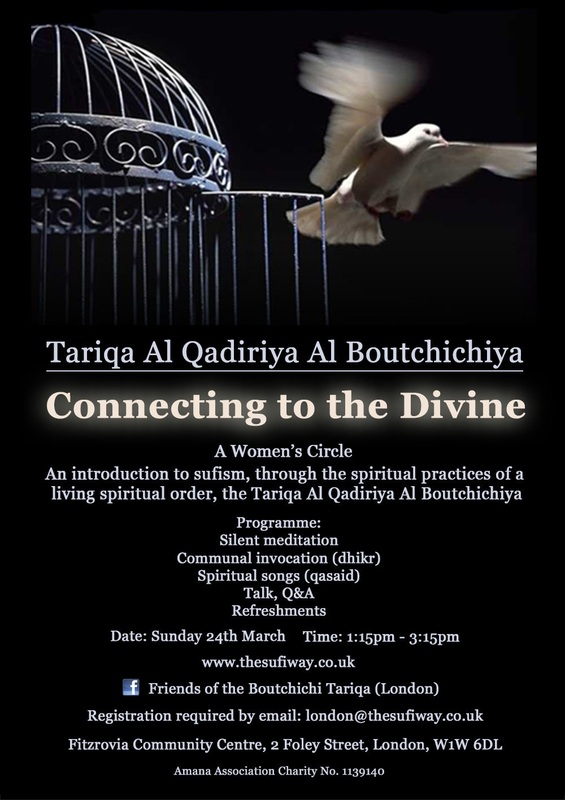 In London, we have regular monthly events through which guests can particpate in the practices of the path, and also find out more about the Tariqa in general. 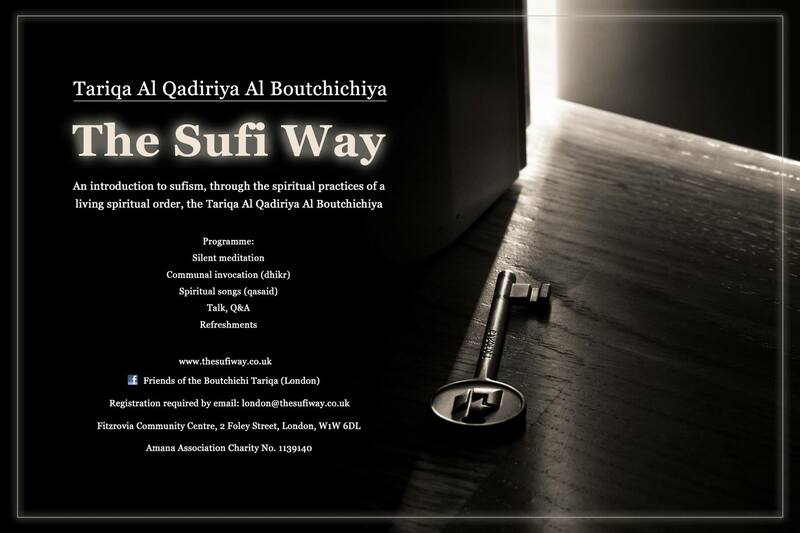 To find out more, or to register your interest, please email london@thesufiway.co.uk. 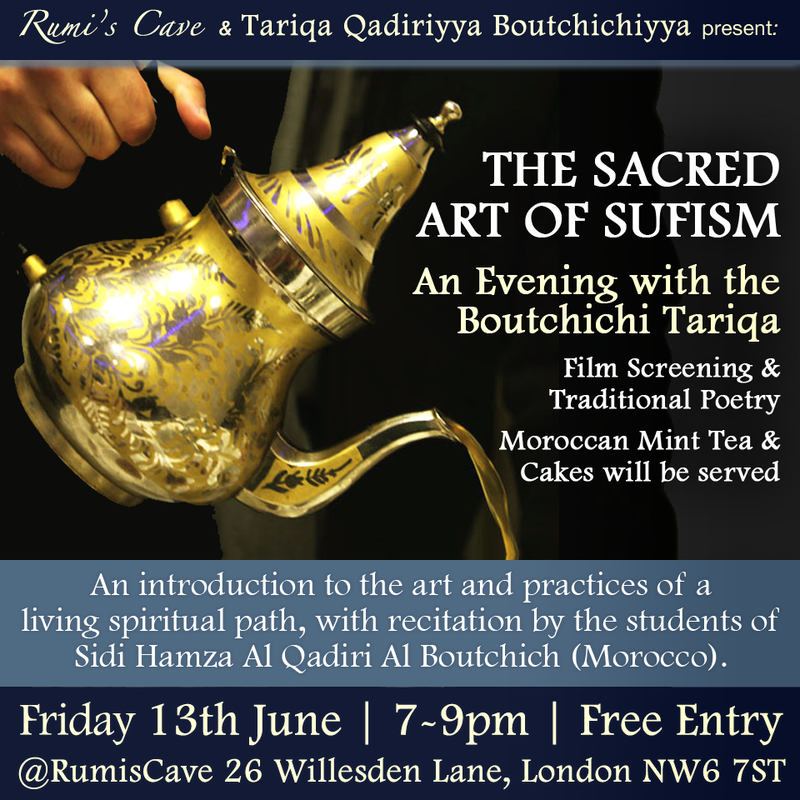 Previously held on the 3rd Friday of each month, at Rumi’s Cave in North London. 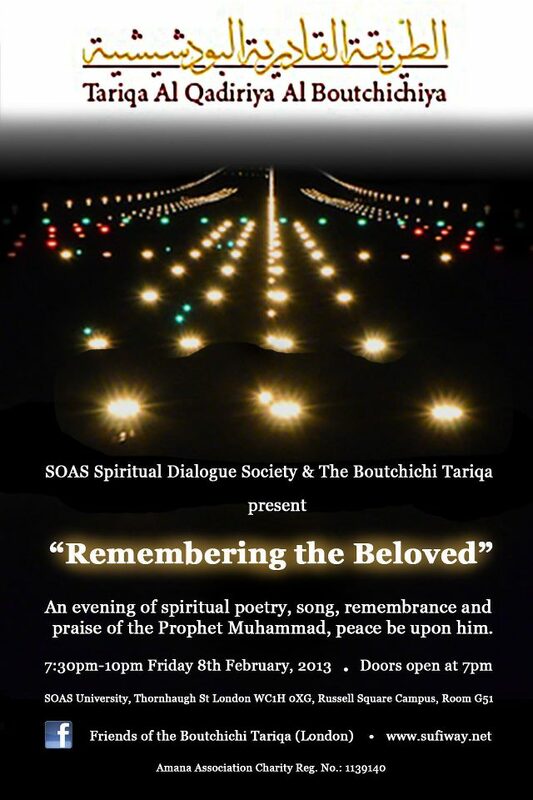 The programme includes light invocation dhikr (silent and loud) and Qasidas (spiritual song) followed by a talk and informal Q&A over Moroccan tea and cakes. 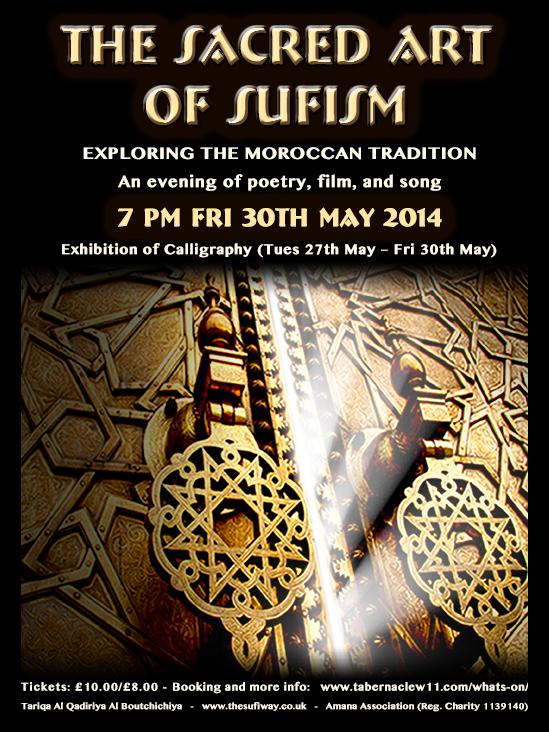 The programme is suited to men and women of all faiths and none, who are new to the practice of Sufism. A One-Day Intensive Course beginning with the basics of faith (‘aqida) based on the foundational Maliki school text, “Al Murshid Al-Mueen” by ‘Ibn Ashir. 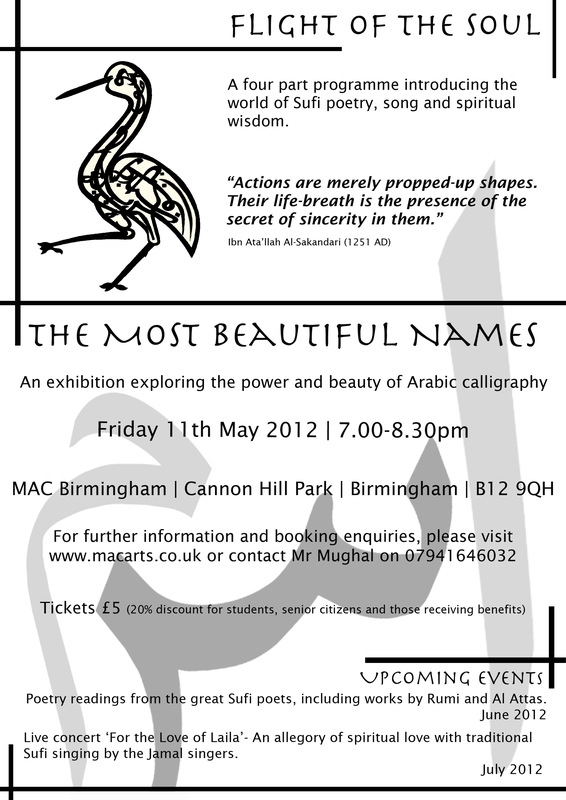 COURSE IS CURRENTLY SOLD OUT!